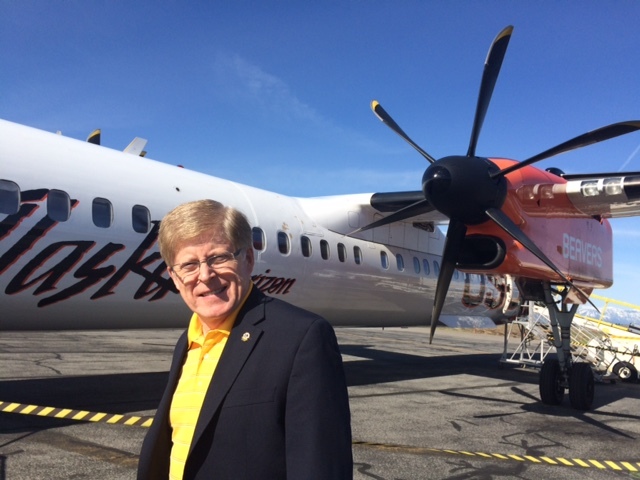 The month of April began with a trip to a very special part of the world—the Great Northwest. 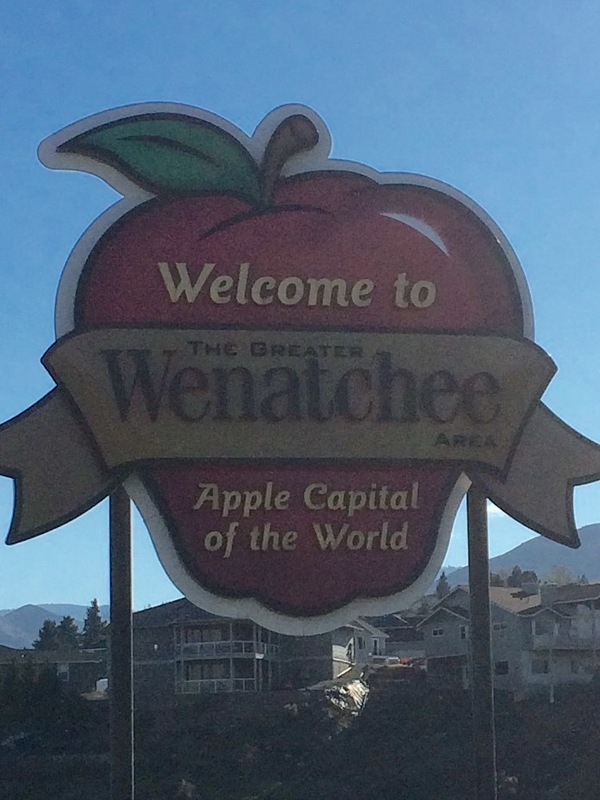 Our visit to District 19-D in Wenatchee, Washington was an opportunity to visit the apple capital of the world. 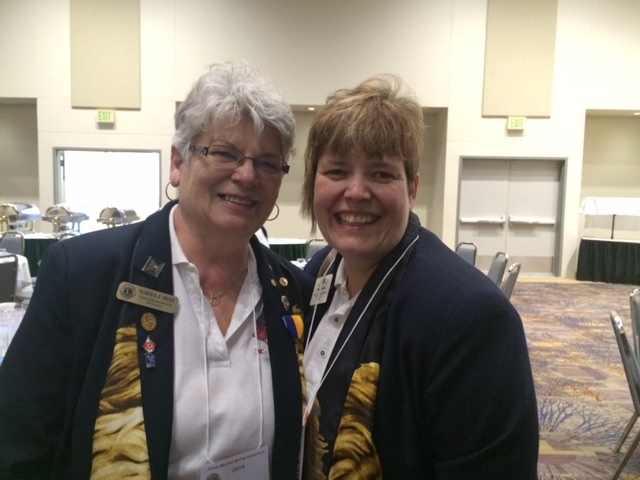 District Governor Shelley Costello of Wenatchee did a great job hosting the Spring Conference, demonstrating enthusiasm and a positive spirit throughout the event. In addition to her responsibilities as DG, she currently is part of a remediation team re-establishing the environment in and around the remote area of Holden Village near Lake Chelan back to its natural state, prior to the mining in the area of 1937-1957. Talk about commitment to the environment! What made our visit especially enjoyable were our hosts, Council Chair Al and Lion Jane Beddows from Sooke, B.C. CC Al is a strong, effective, and well-liked leader and Lion Jane brings warmth and commitment to her involvement in Lionism. 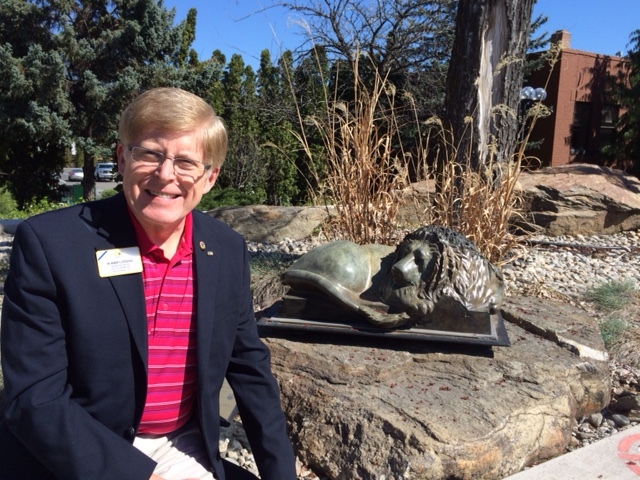 They describe Lionism as their hobby and they spend a great amount of time supporting Lions activities in and around their Multiple District. Ironically, while their roots are in British Columbia, they expertly guided as they drove us through Wenatchee and the surrounding area. 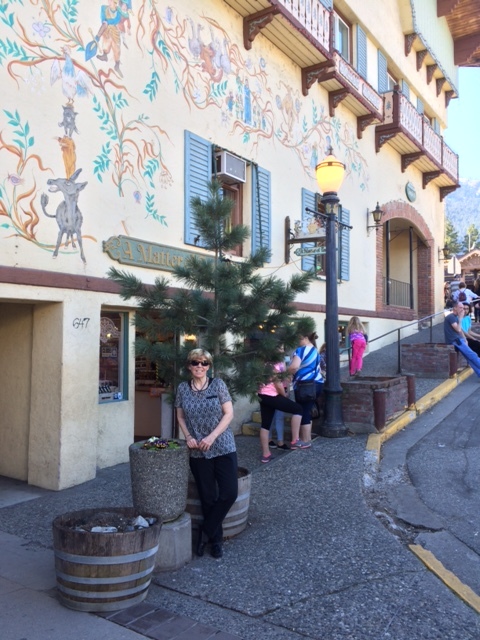 In fact, they brought us to Leavenworth, a town that has renewed itself as a Bavarian village, attracting tourists by the thousands. Lion Kathy on the streets of Leavenworth. When we met the district officers, we learned of a special relationship that may be one of handful of occurrences in the world: A mother-daughter connection of Past District Governor Norma Bent, and her daughter, District Governor-Elect Wanda Carisse. 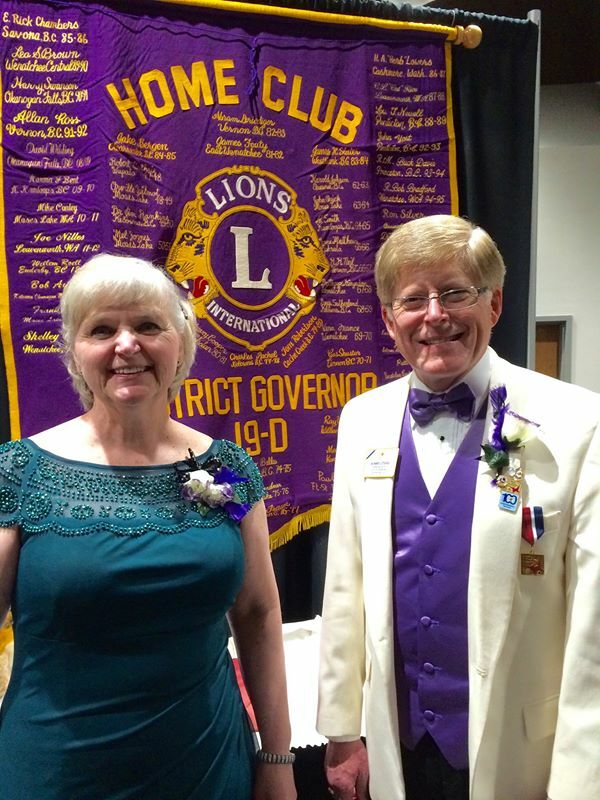 PDG Norma was named Lion of the Year for District 19-D and DGE Wanda appears to be well on her way to moving the District forward next year. 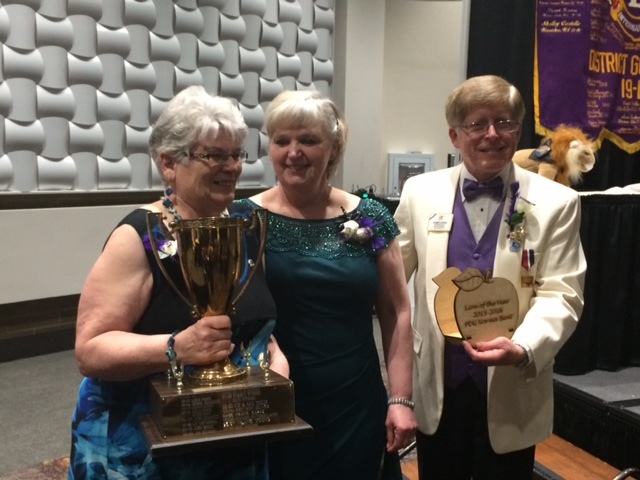 PDG Norma Bent receives Lion of the Year from DG Shelly Costello. 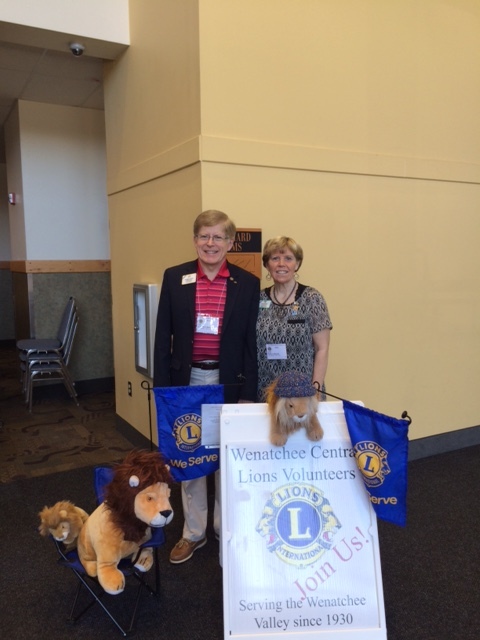 We enjoyed visiting the cabinet meeting and we had some time to tour the Wenatchee Area where the Local Lions have a very visible presence. The historic tour of downtown was very interesting and our guide was a life-long resident who shared her unique perspective as to why Wenatchee was a great place to live and work. We find Lions wherever we go! Friday night was competition night for musical comedy musical performance, and humorous story events. Both Lion Kathy and I were judges—lots of fun. Because the evening had a sports theme, we dressed up in something old and something new. Lion Kathy wore a Minnesota Twins baseball jersey and I wore the new Predators hockey jersey I just received from the Tennessee Lions. 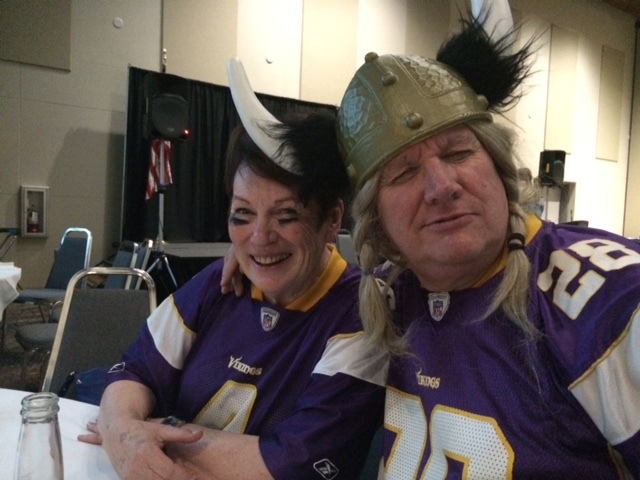 Lion Jane and CC Al make us feel at home with their decision to come dressed as Minnesota Vikings! Clubs competed with musical and comedy skits. On Saturday morning, we attended a variety of programs that were interesting and informative. As a risk and crisis communicator, I was especially interested in the Active Shooter program put on by the Wenatchee Police Department. However, there were other programs that certainly offered new insights for both of us. 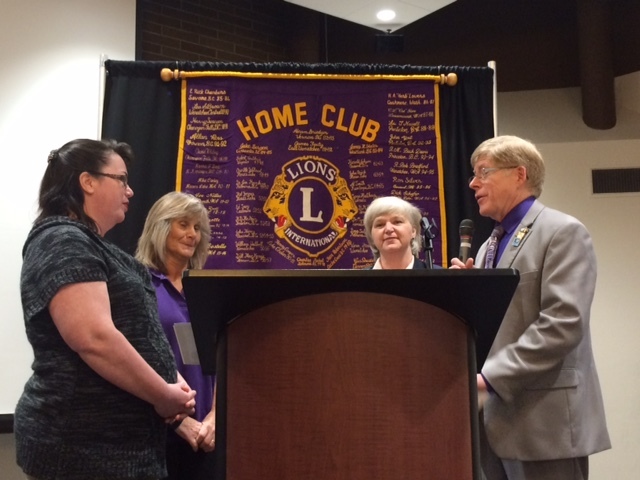 At the noon luncheon, I was pleased to induct a new member to the Wenatchee Lions Club, Lion Lori Day sponsored by Lion JoLane Guthrie. 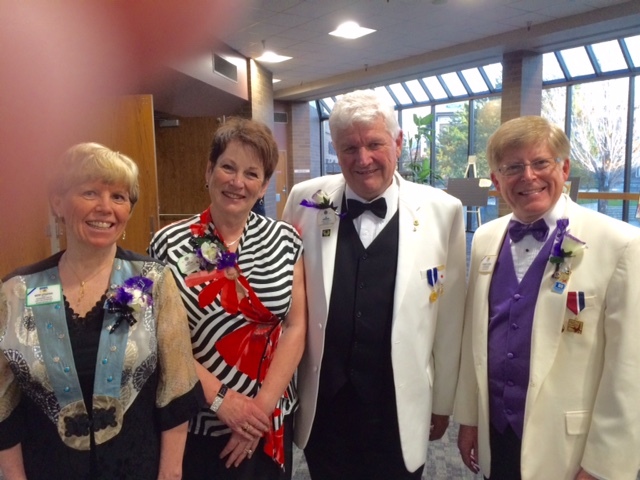 New Lion Lori and sponsor Lion JoLane (left) with DG Shelley and ID Robert at induction. I held a Town Hall Meeting to update the delegates on what was happening at the Board level; and I answered a variety of questions from the Lions in attendance. The evening banquet was a beautiful event and I will always remember the heartwarming solo that DG Shelley sang to close the evening. I presented Presidential Certificates of Appreciation to cabinet secretary-treasurer Lion Steve Muenz, Lioness Michaella Boetger for her work on the district newsletter, and PDG Patti Sparks who was the emcee for the weekend. 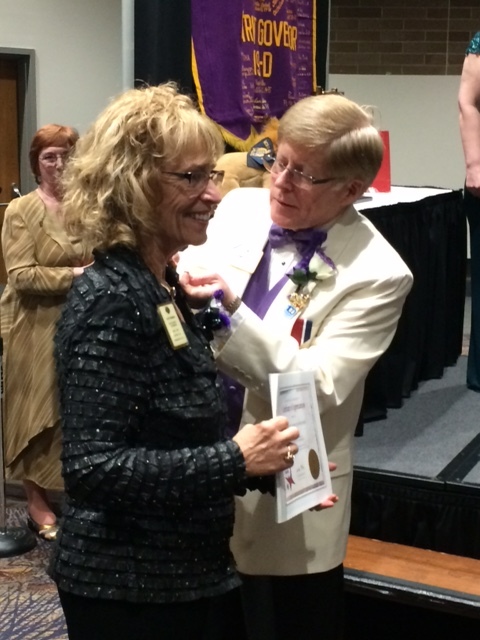 PDG Patti receives Presidential Certificate of Appreciation from ID Robert. On Sunday morning, the memorial service was held on the top floor of the hotel and we said goodbye to a room of Lions who wished us well on our future travels. 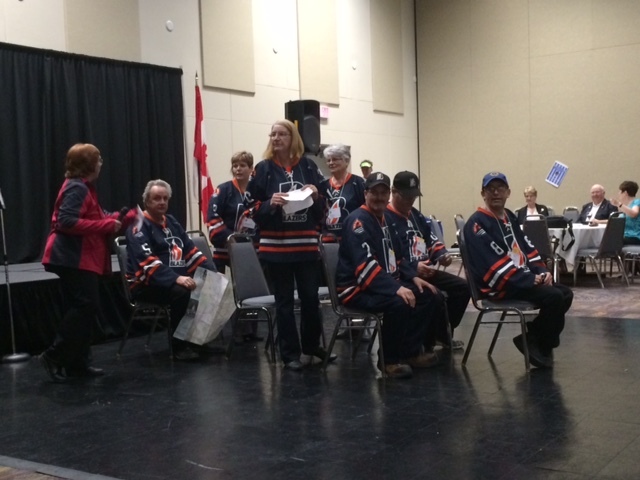 The Lions of District 19-D were very generous, donating $580 to the One Shot, One Life Measles Initiative. We continue our effort to raise funds for this important project and the Lions where we visit are not letting us down! We are building our foundation’s strength through the donations of grassroots Lions who are making a difference, 10 dollars at a time. 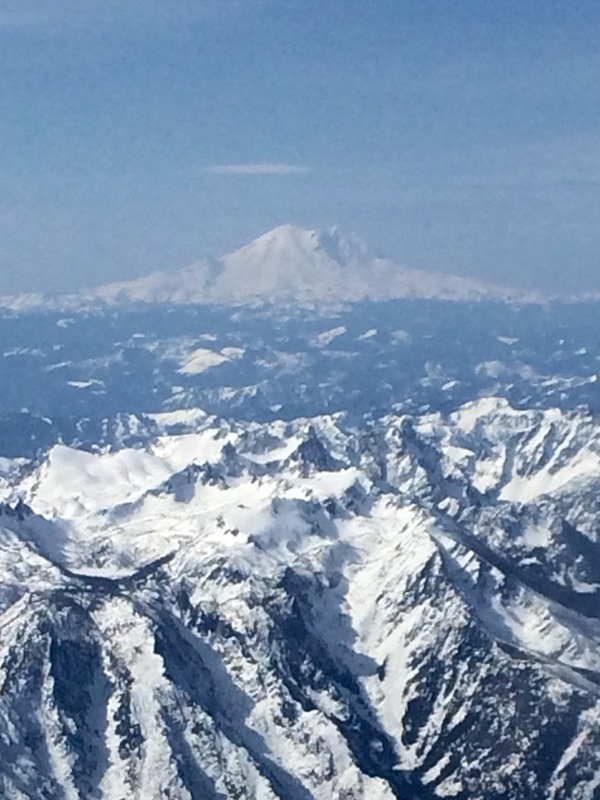 As we boarded our Alaska Airline plane heading back to Minnesota, the beauty of the Northwest overwhelmed us. We are off next to Pennsylvania to meet the Lions of 14-P. We are certain to find them hospitable and committed to serving others. That’s what we find everywhere! Best wishes to all who serve. Good job on the Wenatchee visit, Robert.